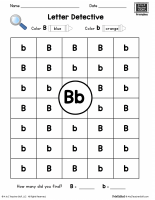 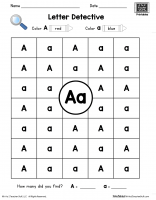 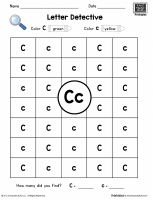 Visual discrimination practice for the letter D. Students identify capital/uppercase letters and lowercase letters by coloring the specified colors. 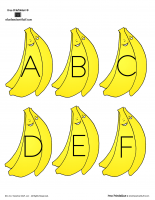 Then they can count how many of each they found. 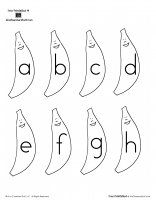 Free printable pages for other letters of the alphabet are also available.